There might not be a more classic or recognizable American sports car than the Corvette. Dating back to the 1950s, the car has epitomized sporty, fast, “cool” automobiles. Really, who wouldn’t want to drive a Corvette? Well, the 2018 model is here, and so are its specifications. Keep reading to learn about the new Corvette’s engine specs. How Powerful Is the New Corvette’s Engine? If you know anything at all about the Chevy Corvette, you probably know that its engine roars as loud as any other car on the road. That’s a huge part of its appeal, along with its aesthetics and slew of technological features. For information on the Corvette’s engine performance and pricing, see our table below. 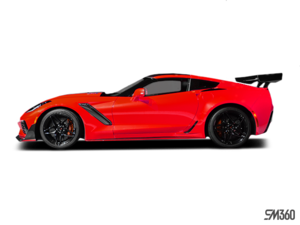 While the engine details don’t differ very much between the bottom three trim levels, the Z06 produces a whopping 650 horsepower, which capitalizes on the already impressive 460 horsepower from the Z51 and Grand Sport. The powerful V-8 engine comes standard on all new Corvette models, so we promise you won’t be disappointed regardless of the trim level you choose. Those interested in learning more about the brand new Corvette shouldn’t hesitate in contacting us. Our expert sales staff is trained so they can answer all of your questions. Set up a test drive, or just stop in to take a look! We hope to see you soon!